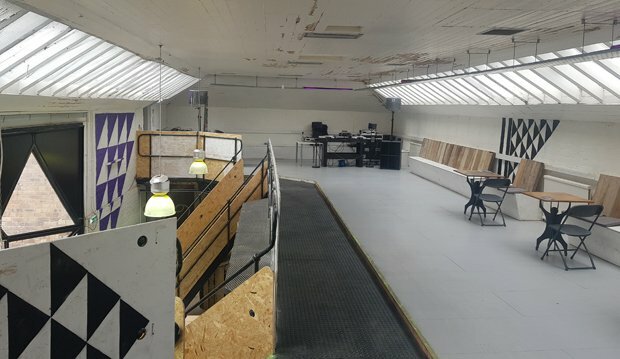 Anyone who's of the belief that potential arts space has all been wrung out in the centre of Edinburgh might be pleased to hear that new venue Skylight opens this month for what's intended to be a permanent residency just off the Royal Mile. Those who went exploring for Festival pop-ups during August might be aware of it already, in fact, because it was well-used at the time as a surprisingly smart bar, a performance space for Free Fringe shows, and home to gigs and electronic music events programmed by Ed Stack of local promoter Decagram. Apparently Amanda Palmer even made an impromptu live appearance. As Stack points out when he mentions the mezzanine, the new building has two distinct focuses. Keeping market hours of 10am to 10pm, the Old Tolbooth Market itself is a bar, café, craft and art market, and food stall hub, with Brazilian, Jamaican and European food on offer. 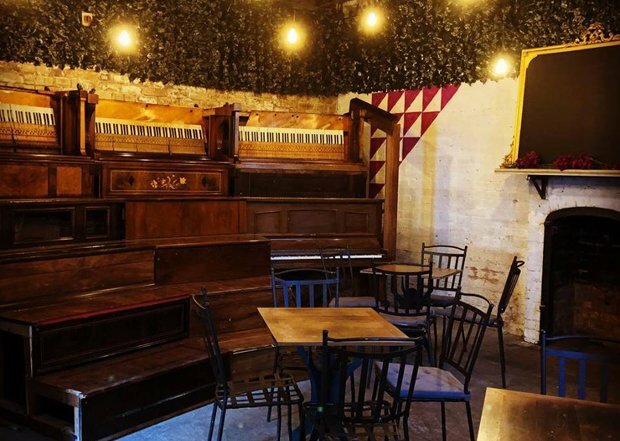 It's also an artists' hotdesking space, while the Pianodrome which was seen at the Royal Botanic Garden during the Festival has been partly relocated to a smaller gin bar here, offering a chance for distinctive concerts. Skylight itself is on the mezzanine above the main bar, and is programmed by Decagram. This weekend's opening concert will be Pentagram, Decagram's fifth birthday party, featuring Numbers Are Futile, Pleasure Pool, Heavy Pelvis, Sin/Red, Tef Dara and Unstable Creations; on Sat 8 Dec, young Edinburgh label OK Pal are hosting a showcase night; and from Friday 14 Dec, regular early evening electronic session After School Club will begin. There are also plans to involve other promoters, with a Wee Dub Festival show already billed for spring. Skylight and the Old Tolbooth Market and Cafe, Edinburgh, opens on Sat 1 Dec with Decagram's 5th anniversary party, featuring Numbers Are Futile, Pleasure Pool, Heavy Pelvis and more.